In this study, we present a comparison of coincident GRACE and ICESat data over Antarctica. The analysis focused on the secular changes over a 4-year period spanning from 2003 to 2007, using the recently reprocessed and publicly available data sets for both missions. The results show that the two independent data sets possess strong spatial correlations, but that there are several factors that can significantly impact the total derived ice mass variability from both missions. 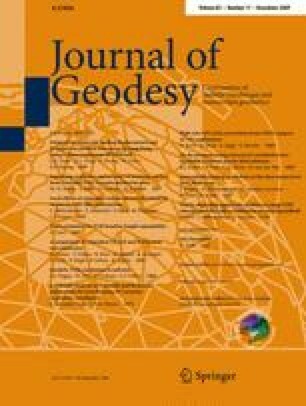 For GRACE, the primary source of uncertainty comes from the modelling of glacial isostatic adjustment, along with the estimates of C 2,0 and the degree one terms. For ICESat, it is shown that assumptions about firn density, rate biases, and the sampling interval of the various laser campaigns can have large effects on the results. Despite these uncertainties, the similarities that do exist indicate a strong potential for the future refinement of both GIA and mass balance estimates of Antarctica. The authors would like to thank J. Wahr, S. Nerem, and the anonymous referees for their many valuable comments and discussions. Parts of this study were funded by NASA grants NAS5-99005 and NAS5-97213.